The North Harbour Heritage Park is a new community attraction comprising a vast expanse of parkland, river access including a canoe launch/fishing platform and an interpretive centre focusing on the heritage aspect of the site. The Heritage Park is a 3 year project which on completion at the end of 2019, will have invested over $3m, with $1,535,062 of funds coming from the Federal Government through a funding agreement with the Abbey Museum of Art and Archaeology. Funding is through the Community Development Grants programme, provided through the Department of Infrastructure and Regional Development. The $1,535,062 Grant has been matched by North Harbour. The Abbey Museum and North Harbour are also working in partnership and providing significant in-kind support through project planning, project management, post-construction operation and maintenance. The first stages of construction were completed in 2018, including roads and other infrastructure including picnic areas with shelters, BBQs, tables and benches and toilet facilities. As work progresses, the team is working to ensure the heritage remains are preserved and available for viewing and enjoyment by the general public. Project Manager Bryan Finney said, “Construction is progressing well, we expect to start work on the interpretive building in the next few weeks. Work is also progressing on the Park infrastructure which includes a 1.5km walking track around the lake. As part of this work, the archaeologists monitoring construction have uncovered building foundations that were not previously known. Retaining and preserving the historical remnants of the North Harbour site has been an important part of the North Harbour planning process. Following an application process initiated by the developers of North Harbour, the area has been listed and protected on the Queensland Heritage Register since 2011 as a place of Queensland State significance. The history of the site will be interpreted from a dedicated “interpretive centre” that delivers a ‘mind map’ of the site before it is experienced first-hand. The facility will present historic photographs, sketches and display objects which will allow visitors to appreciate the stories and significant developments from the past up to the present day. Interpretation delivery will be provided in the landscape alongside a network of heritage trails and using static signage as well as digital content for mobile devices. The delivery of interpretation will be aimed at school-aged students as well as local, state and international visitors learning about local history and South Sea Islander heritage. The Heritage Park area is currently able to be accessed on Saturday mornings at 7.00am for those participating in the free, weekly North Harbour River parkrun. Check out the Facebook page for more information, including directions. 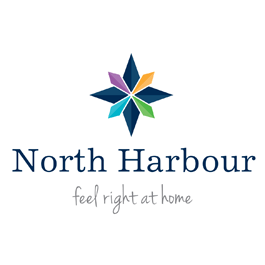 Visit the North Harbour website for more information on building new houses at North Harbour. Sign up for email updates to keep up to date with the latest news, events and information, including our regular events, or follow us on Facebook. Living in the medieval ages, it’s fair to say that the role of the rich, powerful and godly was, unfortunately somewhat egotistical. Little thought or care was given when the peasants or serfs were involved. This is not only reflected in the literature of the time but even in the way the cities were constructed and planned, or more accurately unplanned. We have come a long way from thatched rooves and dirt floors. Most medieval cities were created through impromptu building decisions made on the resources available. Cobbled streets twisted through narrow walkways creating a maze of backstreets filled with the poorest of the poor. Anyone who has been to European medieval cities will understand the real threat of ending up trapped in the inexplicably tight alley with no room for a u-turn. The walls covered in strange lines that you eventually realise are the thin strips of rental car paint from now folded inside mirrors. These tourist traps came about for many reasons – one being only certain areas of medieval cities were planned – predominantly the homes of the aristocrats, clergy or royalty. The other aspect of medieval cities that were not haphazardly thrown together were, of course, the defences – moats, walls, battlements and even the classic spike pit were all planned out. Another reason that many of these tightly packed streets exist is because cities were not planned for the people; they were created to meet the needs of the people in charge and nothing more. The third and most powerful reason is medieval peasants, building their homes, didn’t care that one day you and your steel dragon wouldn’t fit. The ideals of city planning, among many other things began to change during the renaissance, becoming more comprehensively inclusive to not only the powerful but also the people. Many of the great minds of the renaissance envisaged cities designed from scratch with purpose, sewage, water and ventilation. Leonardo Da Vinci – one of the great minds of the renaissance, designed cities with specific pathways for people, local marketplaces to reduce travel time and designated freight routes to ease congestion. Although many of these ideas were not implemented they were the first step towards contemporary town planning and residential standards. The importance of these ideals was most duly noted on September 2nd, 1666 during the Great Fire of London. The medieval city was a sprawling network of inter-joining alleyways, tightly packed hovels and limited drainage and water sources. These elements strung together to create one of the biggest metropolitan disasters in the last 500 years. The fire started on Pudding Lane in a local bakery and from there got very out of hand. An estimated 70,000 homes were engulfed in flames over the 3 days the fire raged. Firefighters could do nothing to stop the spread as wooden shacks built practically on top of each other created the biggest bonfire the city had ever seen. The fire was eventually brought under control through the use of black powder, with the Tower of London Guards demolishing entire blocks to create fire breaks. Not a strategy that many (or any) modern cities would use today. Australian cities were built much later than those in European countries and benefitted from the hindsight of their structural disasters. Because of this knowledge, the importance of town planning had become clear to the Australian leaders and builders. As society grew, so did the demand for curated suburbs with many aspects being at the forefront of planners minds including – local amenities, shopping, education centres and entertainment venues. These responsibilities to society have been adopted both within the government and private sector. For example, our sponsor, North Harbour doesn’t simply build homes but rather understand its ethical obligations to society to create high standards of community living. The creation of communities rather than just homes is what separates contemporary city planning from that of the medieval ages. Homes are built with access to amenities, schools, playing fields and entertainment hubs in order to provide people with the tools they need to live life to the fullest. The role organisations like North Harbour play in creating an ideal living for not just one family, but an entire community are the building blocks of contemporary city development. North Harbour is a new development in Burpengary East. North Harbour has a special history and contains the heritage listed “Moray Fields” homestead site, which was the first European settlement in the area and dates from 1861. These remains contain significant areas of cultural heritage, which are proposed to become a publicly accessible interpretive centre. The Abbey Museum is working in partnership with North Harbour to facilitate the creation of this centre. In return, we are very pleased to welcome North Harbour as a major sponsor of The Abbey Medieval Festival. To learn more about land for sale at North Harbour please visit www.northharbour.com.au. In our lifetime, telecommunications have progressed exponentially from indestructible brick-like devices to smart phones that can translate languages. Worldwide nearly 900 million people cannot read or write – but that was normal in the Middle Ages when communication was for the most part oral with only the wealthy aristocrats and nobles taught to read and write. It’s very easy to take for granted the communication tools today such as online cloud storage that seems like magic, but North Harbour makes life easy with fibre optic broadband connectivity for every neighbour. For the average person to send a message in the Middle Ages, a scribe had to be involved to write the message and more than likely was required on the receiving end in order to read it for the recipient. Written letters were considered formal correspondence mostly between the wealthy, especially taking into account the need for an expensive courier to travel great distances on some occasions. Because of this, town criers became a primary means of communication for public announcements. They often dressed elaborately and used bells to attract attention as they announced royal decrees, local bylaws, market days and adverts. Many say this is where the expression “don’t shoot the messenger” came from as they often delivered bad news on behalf of the monarch and thus required protection. The position of town crier even persisted into the early 19th century, and in some areas criers are still around although only with ceremonially purposes. At the time of the crusades, messenger pigeons became a means of communication that medieval Europe likely adopted from the East considering they were known to be used as far back as ancient Egypt. During the Middle Ages, they were the fastest method of long-distance communication all the way until Samuel Morse invented the telegraph in 1844. However, the use of homing pigeons continues to this day. These days communication has evolved drastically. 1996 saw the introduction of the World Wide Web that revolutionised communication and kick-started e-commerce. From there it didn’t take long for the world to become what it is today with instant messaging, social media and sites such as reddit becoming a hub for information. Now fibre optic broadband is the next must-have and is rapidly growing in coverage thanks to the speeds at which it can provide internet access. This is thanks to the use of plastic or glass tubes rather than the traditional copper wiring used in standard broadband connections. While landlines and mobile phones send information through wires and radio waves respectively, fibre optics sends information coded in a beam of light down these glass or plastic pipes. North Harbour provides the fastest fibre optic broadband in Australia, capable of speeds up to 100mb per second so there is no connection delay. These high speeds allow residents to tackle work with ease or relax with their smart TV completely buffer-free. Free Wi-Fi is also available in the first of two village parks for those that want to stay connected. North Harbour boasts a vibrant village atmosphere with an emphasis on lifestyle to ensure that all those little things in life are made easy especially connectivity. And what progress it has been! The Abbey Medieval Festival is a recreation of the hubble and bubble of medieval life right down to the food vendors and stalls. Many of the amazing rustic wares we see at the festival are sourced locally and created with rustic techniques and ingredients. However, chances are the rustic meal you’re looking forward to was, to some extent, sourced from a grocery or department store. While contemporary medieval merchants and vendors have the luxury of local shops, their ancient market-counterparts were less lucky. Medieval towns and cities did have some of their own shops and stalls but the real shopping was done when the merchants rolled into town – literally rolled with wagons. Merchants would travel the land searching for wares they could sell for a profit – trading spices for silks and chickens for apples. Their wares were limited to their ability to carry them across dangerous countryside littered with bandits and wild wolves – this time it’s for real! Some medieval merchants had such a dangerous jobs they would hire mercenaries to protect their wares and wagons, to ensure they arrived safely to market. That was only half the battle if the merchants made it into your local town you had to have something worth trading. Currency, although in circulation through most of Europe during the medieval ages, was not widely available to serfs or peasants. These groups used a barter system to purchase wares. For example, two chickens for half a goat – bargain! Now as we all know the world has gotten a lot ‘smaller’ since the medieval ages and the chances of you having to go 4 hours to the closest shops are a lot slimmer. Within all new high quality housing developments, the growth of localised shopping facilities and services is important and instrumental in creating high standards of living. Localised communities such as North Harbour provide residents with more opportunities to access local market products than ever before. North Harbour residents have access to shops and local small businesses including bakeries hairdressers, cafes and grocery stores right at their front doors and thankfully no need to bring any chickens to barter with. The growth of local shops is not the only thing contemporary living has to offer but the growth of the shopping centre revolutionised the weekly shop. North Harbour is 10-15 minutes away from a few of the Moreton Bay Regions biggest shopping centres and just 5 minutes from the revamped Burpengary Plaza. As winter approaches, are you finding it difficulty to keep healthy? With the cooling weather, the countdown to Abbey Medieval Festival is drawing nearer and nearer. By now the jousters and re-enactors are deep in their training in order to be able to wear armour and hold lances in their battles for glory. The members of the Abbey Medieval House Troupe are preparing their abundance of costumes including a plague doctor, along with staged scenes, storytelling and short cycle plays. But the rapidly approaching festival also provides a chance to appreciate just how far society has come since the middle ages. Technology has undeniably made life more convenient but exercise and diet were a demanding priority to the knights of old, and their lives depended on staying fit and healthy. While often presented as chivalrous and benign, the knights of the middle ages were one of the fiercest fighting cultures of all time. As imagined, medieval peasants did not need to work out as they were engaged in farming and trades while those of higher social class trained by riding, hunting wrestling and even lifting large stones. Knights were the premier fighters of their time having been trained since they were boys and constantly testing themselves in full armour – especially at tournaments. There are no books to accurately explain how knights kept fit and although the training regimes were vastly different, the premise of the training is the same between the fighters of the Middle Ages and today – to stay in peak physical and mental condition. Since general survival is not as demanding, people today are fortunate that exercise is recreational and in a lot of cases are purely aesthetical and for stress relief. Although there is plenty of room for it in the heart of the Northern corridor, jousting is unfortunately not a viable exercise option at North Harbour. However, the featured open spaces of North Harbour which add up to 1000 acres, serve as suitable areas to train. This huge area includes parkland, children’s playgrounds and exercise equipment amongst the proposed six parks (one is already open with another to be opened later this year). Extensive cycling and walking tracks will also be available to utilize for residents to keep up their cardio regime. Furthermore, plans to build a sports complex with fields for various sports are currently underway. In the meantime, the Narangba Sporting Complex is ten minutes away and the Caboolture Aquatic Centre is only five minutes away. For water lovers, various canoe platforms are proposed in the area as well as a boat ramp within a ten-minute drive. The vision is for North Harbour to become one of the most vibrant recreational marina hubs nationwide and a new marina village is in development to become the social hub of North Harbour boasting world-class facilities as well as shopping centres, public spaces, cafes and much more (subject to government approval). North Harbour offers potential residents a place to feel right at home and over the next fifteen years it will become a social (and physical) hotspot in the Moreton Bay Region. Safety during childbirth was very perilous during the Medieval Period. What we would now class as risky or unsafe birthing, in medieval times people simply didn’t know and a difficult labour could last several days. Some expectant mothers eventually succumbed to exhaustion, dying during the ordeal. Attempting to birth a baby in breech position often proved fatal to both the infant and mother-to-be. When a new mother did survive labour, she still risked a distinct chance of dying from various postnatal infections and complications. Infant mortality rates were very high as the immune system was still becoming accustomed to the threats of its disease-riddled environment. About 20% of would-be mothers and 5% of babies died during childbirth, with an additional 10% to 12% dying during the first month according to statistics information on Medieval Period mother and infant mortality rates. By the 2nd half of the 14th century, peasants were living 5 to 7 years longer than in the 50 years previous. However, average life expectancy for English ducal families between 1330 and 1479 was usually just 33 years of age for women and 24 for men. Laypeople in late 1420s Florence, Italy, could expect to make it to just 29.5 years (women) and 28.5 years (men)! However, if a 13th-Century person made it to 30 they had a good chance of making it into their 50s and even 60s. Daily life incurred the omnipresent danger of violence no matter whether you were high born or low born. Staying safe was a big challenge for both rich and poor alike. Violence abounded in many forms – from the not uncommon street and tavern brawls, assault, murder, accidental homicide, through to blood feuds, domestic violence, local and regional land disputes, urban unrest, revolts against lords by their vassals, and citizenry uprisings (such as England’s 1381 Peasants’ Revolt), amongst other violent incidents (not to mention warfare violence and larger-scale crusades). Even trials were not free from violence with combat ordeals often thrust upon the accused to reach a verdict of guilt or innocence. Heaven forbid you disagreed with the Christian Church! Those who held theological or religious opinions/beliefs which didn’t fit the Christian narrative were considered unorthodox – posing a threat to the Christian Church’s stranglehold and a danger to the established status-quo. Any perceived threat to Christendom was ruthlessly dealt with for to deny Christianity was to blaspheme it, and blasphemy was a crime against God. Heretics/dissenters (Muslims, Jews, Cathar’s, and freethinkers, amongst others) were persecuted and killed, or silenced through threat of death. It was not until the flourishing of humanism during the Renaissance which brought about more temperate conditions in which these voices could begin to be heard. Hunting was a favoured pastime amongst the aristocracy and royalty of the period, but it came with great risks to personal safety. Accidents such as falls from horseback, friendly fire from arrows, mauling and bear attacks could easily be fatal. Interested to read more about Safety in Medieval Times? Stay Tuned for Part 3. Thanks to ERMS Group for their support of the Abbey Medieval Festival 2017. Unlike the innumerable protocols, laws, rules and regulations and standard practices revolving around ‘safety’ of all kinds which we follow and practice across the globe today, by and large, keeping people safe was of little concern to the people of Medieval Europe and Britain. On average, a person’s life was lived perpetually on a knife’s edge, regardless of their station and staying safe was not easy. Danger lurked around every corner, risk lay in wait during every waking and sleeping hour, for there was no rest and no reprieve from the many abundant threats and risks which plagued people of these perilous times. Famine was an ever-present risk for peasants. Anything from bad weather to poor harvests could spell disaster for ill-equipped families and even whole populations. Meagre rations could only stretch so far. Malnutrition rendered people more susceptible to disease, and those who did not starve to death often succumbed to the repercussions of famine – the aftermath of tuberculosis, typhoid, sweating sickness, smallpox, dysentery, influenza, mumps and gastrointestinal infection epidemics. Famine statistics information on Medieval Period points to 15% of European deaths during the early 14th century’s Great Famine. As most medieval people lived rurally, bad weather could kill and poor weather could result in famine. For example, a wet and cold summer could destroy grain crops entirely, and as grain was the period’s main food source, hunger, starvation and disease were all serious and probable eventualities of such a scenario. By 1550, there was an expansion of glaciers worldwide as the ice pack grew between the 14th and 16th centuries, bringing with it devastating wetter and colder weather than had ever been experienced by the people of medieval times. The Plague was one of the biggest killers of the period, arriving in Europe in 1348 it decimated between a third, to half the European population of the 14th and 15th centuries. Caused by bacterium and carried by fleas most often found on rats, the Black Death wiped out thousands – from Italy, France and Germany to Scandinavia, Spain, Russia, England, and Wales, nowhere and no one was safe. In England, out of every 100 people, about 35 to 40 died from The Plague! A warm bed to sleep was often hard to come by for the average person when traveling. In winter, freezing to death was not uncommon, as was the possibility of being robbed, and/or murdered by strangers, or if you were unlucky enough, by fellow travellers. Food poisoning caught from unscrupulous inns, monastery or other lodgings was also a possibility, as was becoming unwittingly caught up in regional or local disputes, or even full-blown warfare which could result in injury or prison time (amongst other travel risks). Interested to read more about Safety in Medieval Times? Stay Tuned for Part 2. Many people wouldn’t think twice about travelling over 50kms for work or for fun things to do on the weekend (like driving from Brisbane CBD to Abbey Museum). But for those in the Middle Ages, travel was an arduous task and only undertaken out of necessity. So what was it like travelling back then? It was not unusual for people of all classes to travel in the Middle Ages. The Romans had built a network of roads across their empire, but these were the only roads and by the Middle Ages they were in poor condition and unusable in inclement weather. They were useful for walking – especially for marching soldiers, but the decay of the stone paths made it difficult for wagons pulled by oxen and mules to traverse. Buying these animals was also relatively expensive and it was costly to keep them well fed along with maintaining the carts and wagons too. How far did people travel? Because of this even travelling up to 10 kilometres in a day was demanding although on some occasions people were known to have travelled on average 25 kilometres a day and messengers up to 60. However the majority of people at the time were not likely to travel any further than 100 kilometres from their home. With most of the Roman roads being damaged until their eventual repair in the 13th century many messengers and envoys travelled long distances by horse back. Kings travelled frequently as they were required to showcase their power and wealth especially in feudal times they often travelled in order to make their presence known. Aside from royalty and military, most travellers at the time were merchants, messengers, tax collectors and pilgrims. Politics, religion and trade were the main reasons anyone travelled and it was as expensive as it was difficult. Most of the travelling was religious such as pilgrimages and crusades. Along with carts and wagons, saddlebags were commonplace using horses, donkeys or mules to avoid fatigue. Farmers also travelled to markets in the closest villages to sell their products and peasants often undertook pilgrimages to holy places as it was believed praying at these sites meant a greater chance of going to heaven. Nobles often arranged hospitality amongst each other making sure to send messengers to announce their impending arrival while inns became more common for travellers that could afford it. Thanks to modern roads and technologies, travelling between locations is more accessible than ever. Travelling to and from Abbey is easy with taxi services like Black & White Cabs to drop you right on the medieval doorstep. Head to their website, app or give the team a call on 133 222 to book your pre and post Abbey Medieval Festival ride.